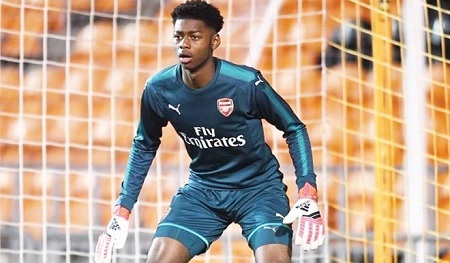 The Arsenal Football Club of England has signed Nigerian-born teenage goalkeeper, Arthur Okonkwo. The goalkeeper who has played for England U17 team signed a scholarship deal with Arsenal. The teen was being linked with RB Leipzig and Celtic, but he will now form part of the new scholarship intake at London Colney.